Gregory Poole Equipment Company is your high value, low risk governmental solutions provider. 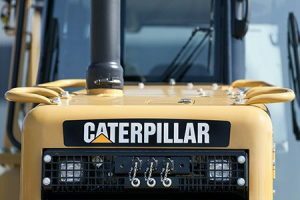 We are proud to be a strong Caterpillar dealership and being a provider for and creating partnerships with our customers since 1951. Along with the complete Caterpillar product line we also represent many allied products including Hyster and Yale Lift Trucks, Blue Bird buses and Genie aerial platforms just to name a few. By combining a diverse factory authorized product line along with a solid product support capability, we are unlike anyone else. You can procure a backhoe, short term rent an air compressor, long term lease a school bus, service a generator, procure parts for a light tower, develop a training program for your material handling equipment personnel — all with a single point of contact…and this is a short list of possibilities. The codes listed are base on how the end-user requests RFQ and do not necessarily identify our market.